Wednesday 14th September, 7.45pm, Kick Off. CPLFC 3, Charlton Athletic 3 . Sunday 18th September, 2pm Kick Off. Scorers, Megan, Gemma 2, Shakes. 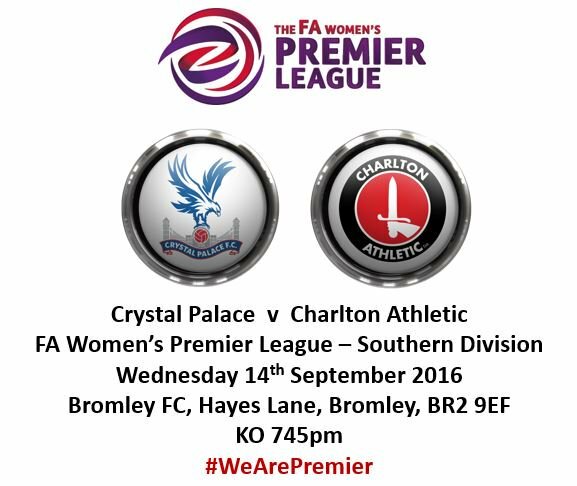 Crystal Palace Ladies 1st team currently have no game scheduled for this weekend. The reserve's will be in action however, at home to West Ham Utd reserve's, in the FAWPL cup on sunday 25th. @ Afc Croydon Athletic, Mayfield Road, CR7 6DL.